Q What are the ingredients in Sure-D? Sure-D contains bitter melon, ginseng root, blueberries, and acerola cherries. Q How will Sure-D support my health? 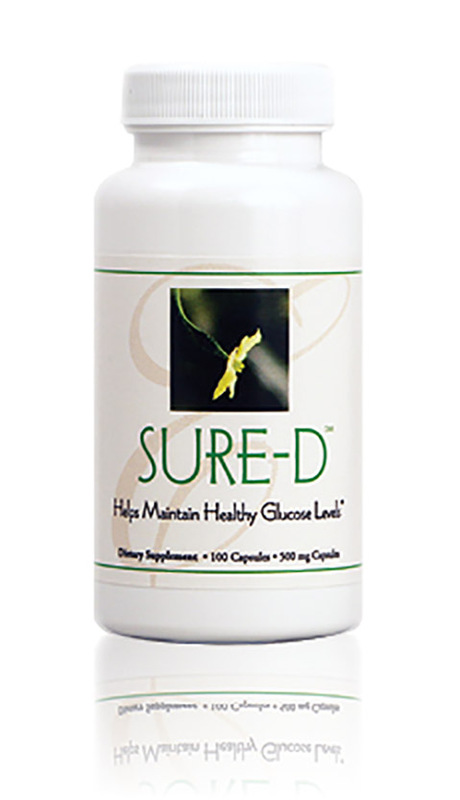 E. EXCEL used Nutritional Immunology principles to combine the four ingredients in Sure-D to help you maintain your healthy blood sugar levels. Q Are there research findings on bitter melon and ginseng? Garvan Institute of Medical Research in Australia and the Shanghai Institute of Materia Medica found bitter melon compounds that improve blood sugar levels. Research has also revealed that a lectin in bitter melon lowers blood glucose concentrations. In another study, participants who received 3 g doses of ginseng had blood sugar levels about 20% lower than those who did not take ginseng. Q Why include blueberries and acerola cherries? Blueberries and acerola cherries contain high levels of antioxidants and phytochemicals that help support the immune system. In particular, anthocyanins in blueberries help support the retinas of the eyes. High blood sugar levels can damage the retinas. Q Is Sure-D suitable for all to take? Adults, with the exception of pregnant women, should be able to take Sure-D. Pregnant or breastfeeding women should check with their health care specialist before taking Sure-D.